General Electric Company Information Is this your company? Add your own content to this page. We currently have 1 open jobs at General Electric. 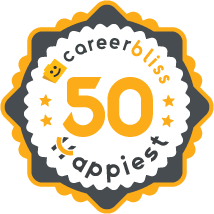 We've calculated that the average salary at General Electric is $64K based on 4,718 user-submitted salaries A total of 533 General Electric employees gave General Electric an average happiness rating of 4.0 out of 5.0. 93 Field Service Engineers from General Electric submitted salaries. 2.4 This review does not necessarily give bad review of GE as a whole but does point out some unfair practices utilized to keep salaried employees in tight corners as a condition of employment. If you go into any management or salaried employment with this company you will be classified as "exempt employee status". After many years I learned what this meant. To the exempts already working at GE and the ones that are pursuing careers with GE, beware of the fine writing when coming on board. Especially the one policy for exempt employees that states if you feel at anytime that you were treated unfairly you must seek justice by their own solutions program. You cannot take GE to court in front of a jury. This you are to sign at the onset of your employment, the rest of you like myself was forced to e-sign it as a condition of continued employment back in 2009. This is why we are always used to pilot their money saving endeavors, and you get treated as a lesser employee compared to the regular employees. Beware, I was dealt a bad hand 2 yrs ago over an innocent issue that was never investigated, and as a dedicated employee for many years, but with health issues that were breaking me down fast, they used a petty incident that was beyond my control to relieve me of my employment with GE. The Rutland VT management lied to corporate and by not being able to litigate in the court system in front of a juror of peers I'm totally destroyed. So beware!!!! 4 GEs thousands of locations and payroll the size of many countries, is being heavily influenced by the roller coaster economy. Driving sweeping changes driven by the CEO, called Simplification, albeit a good idea implementation is managed seemingly unchecked by junior leaders with a reckless abandonment. Eager to please the boss, hot rods are staggeringly laying off thousands of GEs top talent. Simplification will either be the best thing ever for GE, or resolute devastation. 3 Have worked for GEIP for 7 years and have found them lacking in many respect; integrity, morality and in support of their employees. They have little concern for employee growth or training and would rather work them to death and replenish with newer, younger and cheaper personnel, mostly fresh from college. They actively discriminate in many ways in hiring / firing especially with age. General Electric, or GE, is currently headquartered in Fairfield, Connecticut. They are basically known as a financial company with a manufacturing arm. They operate in five main segments: GE Energy, GE Technology Infrastructure, NBC Universal (co-owns with Comcast), GE Capital Finance, and GE Home & Business Solutions. According to Forbes, GE finished third on the list of best multinational companies. Based on a formula that compared sales, profits, assets, and market value, GE ranked right behind JPMorgan Chase and HSBC. They are also currently the fourth most recognized brand in the world and the largest manufacturer of wind turbines in the United States, with more than 12,000 installed. GE produces general imaging digital cameras as well. In 2011, they released their Bridge Camera GE X5. General Electric currently employs over 300,000 workers across the globe in more than 100 countries. GE offers thousands of various career opportunities daily, and there is simply no other company in the world with such a diverse set of business to work in. GE knows that a company’s employees are the architects of its future; this is why they hire the best and brightest. GE employees have reduced GHG emissions by 250,000 metric tons of CO2, which saved them over $130 million by organizing ecomagination treasure hunts worldwide. In order for employees to produce strong performances and results, they need a sound, clearn work environment, so they provide systems and policies that rely on open communication and employee privacy that assures health and safety. GE isn’t only concerned about growing their business; they give their employees the opportunity to grow their own careers and integrity as well by listening and considering all ideas from the ground up. No one goes unheard, so if you want to work for a place where your ideas will be taken seriously, check out GE jobs below!